Only one week until the UFC debuts on Fox with the Cain Velasquez vs. Junior Dos Santos showdown for the heavyweight title. While this will be a great fight, there is another fight that promises to be, if not fight of the year, fight of the night. 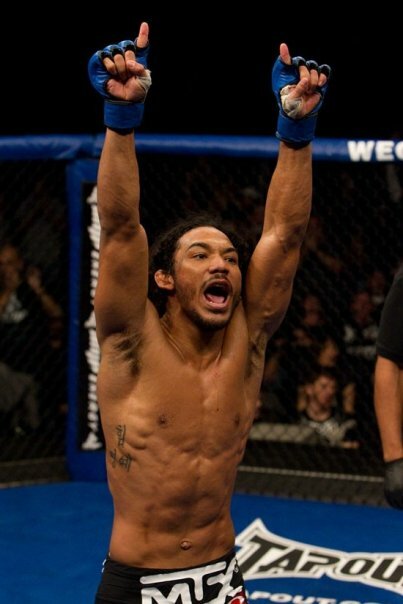 Ben Henderson and Clay Guida are both known for their dynamic, whirlwind energy when they take to the octagon. This fight has all the earmarks of an epic battle between two tireless workers who will leave it all in the cage. Ben and his team have prepared hard for this fight and are ready to see the results on November 12. Big thanks go out to our sponsors, teammates, family and friends who have supported us through thick and thin. Without your support and love, what we do would be impossible. So, get your popcorn ready and don’t blink, because this one will be great. See you in Anaheim! This entry was posted on Saturday, November 5th, 2011 at 12:23 am	and posted in News. You can follow any responses to this entry through the RSS 2.0 feed.